There’s always lots going on in our factory, with our teams of skilled specialists working right around the clock on a 24-hour, three-shift system to keep up with demand. We have been making stairs since 1895, and our expert craftsmen are still leading the way in cutting-edge design and production techniques to this day. 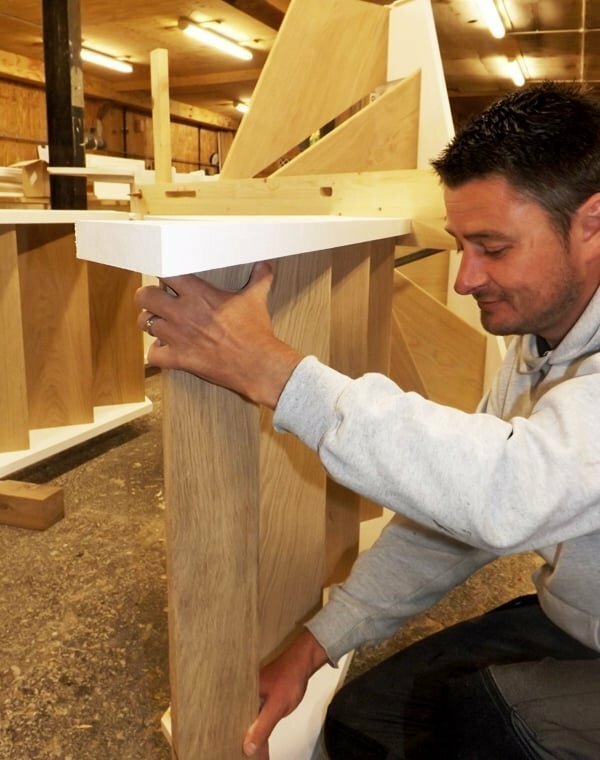 Using the latest technology, we are able to manufacture straight or curved staircases in timber, metal, glass, or a combination of all three, depending on customers’ requirements. Our prices are extremely competititve, with no hidden costs. We won't even make a charge for design alterations along the way. Quality is key, with each stair component being thoroughly checked and measured at every stage of production to ensure a consistently high quality product. What's more, all staircases are dry-fitted before leaving the factory to avoid any problems at the installation stage - earning us a great reputation among carpenters and joiners. A standard straight flight of stairs can be ready for dispatch within 7-10 days after receipt of a confirmed drawing, while more complex or unusual designs may take 3-4 weeks. Find out more about our manufacturing process here. You might also like to have a go at designing your own staircase using our StairCreator online planning tool.